* TRIPOLI, LIBYA, STATE OF * MBBCh * International Medical Graduate (IMG) * General Practice * Studied for 3 month(s), with CanadaQBank.com's 'QBank for the MCCQE Part 1'. Passed with a score of 254. Percentile rank: 55. Click Here to see Actual Score Report. 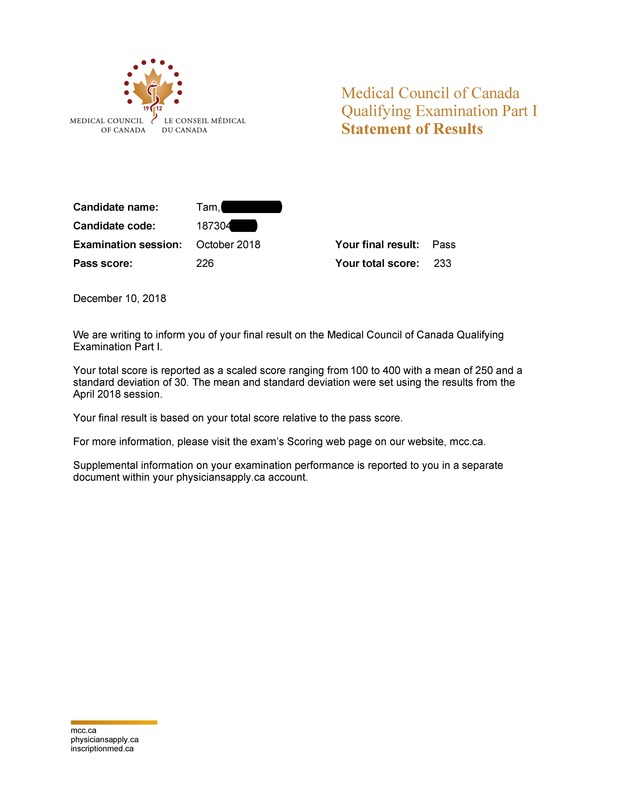 * SASKATOON, CANADA * MB BCh BAO * International Medical Graduate doing residency * Internal Medicine * Studied for 2 month(s), with CanadaQBank.com's 'QBank for the MCCQE Part 1'. 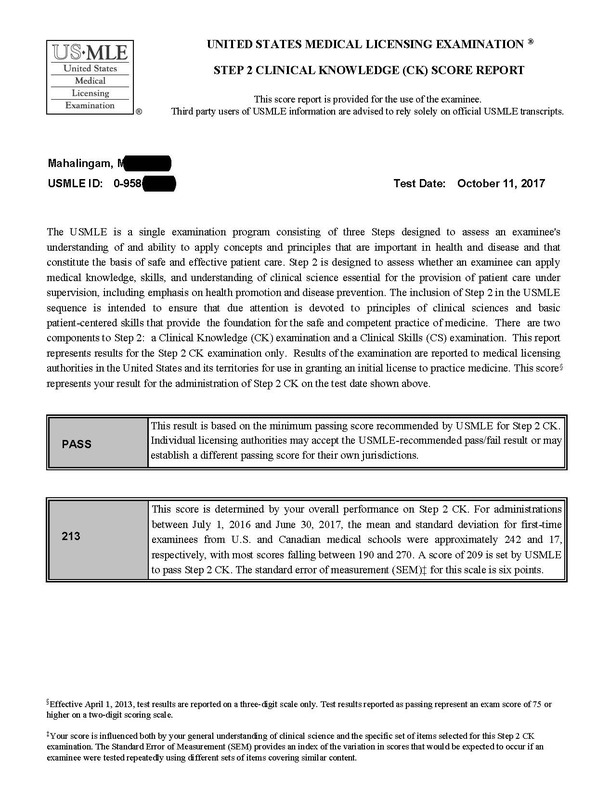 Passed with a score of 269. Percentile rank: 73. Click Here to see Actual Score Report. * TORONTO, CANADA * MD * International Medical Graduate (IMG) * Family Medicine * Studied for 3 month(s), with CanadaQBank.com's 'QBank for the USMLE Step 2 CK'. Passed with a score of 213. Percentile rank: 5. Click Here to see Actual Score Report. * TORONTO, CANADA * MD * Canadian Medical Graduate doing residency * Ophthalmology * Studied for 1 month(s), with CanadaQBank.com's 'QBank for the MCCQE Part 1'. Passed with a score of 233. Percentile rank: 29. Click Here to see Actual Score Report. 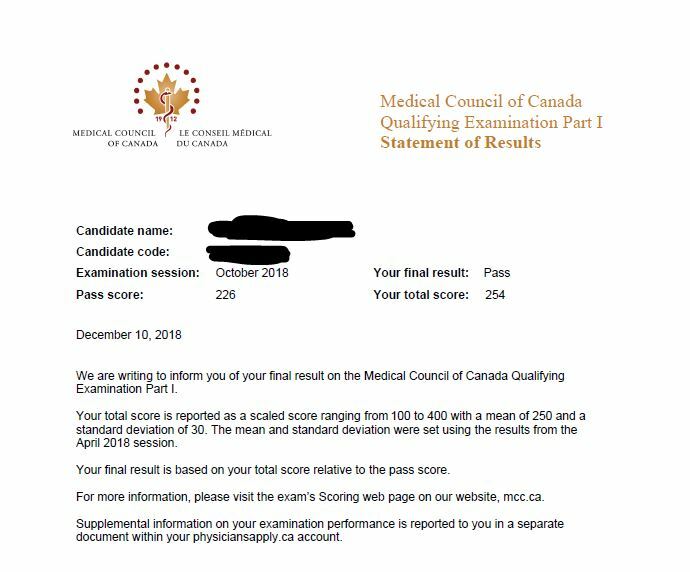 * TORONTO, CANADA * MD * Canadian Medical Student * Family Medicine * Studied for 1 month(s), with CanadaQBank.com's 'QBank for the MCCQE Part 1'. Passed with a score of 233. Percentile rank: 29. Click Here to see Actual Score Report.